Most of us who drive know that we should check our vehicles’ tires regularly for wear, but not all of us do it faithfully. 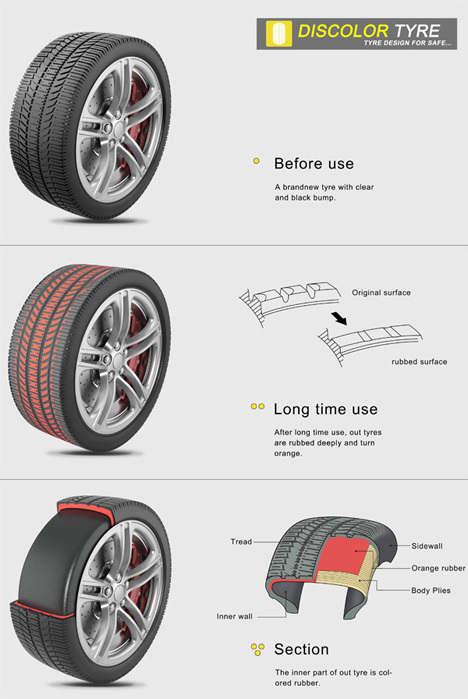 This concept from designers Gao Fenglin and Zhou Byui would make it far more difficult to ignore a set of dangerously worn-down tires. The tires start out with a layer of black traction-rich rubber on top. 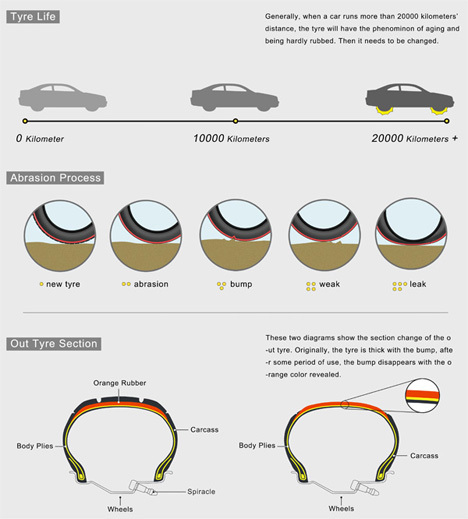 As the tires are driven on and the top layer of rubber begins to wear off, the orange under-layer is revealed. 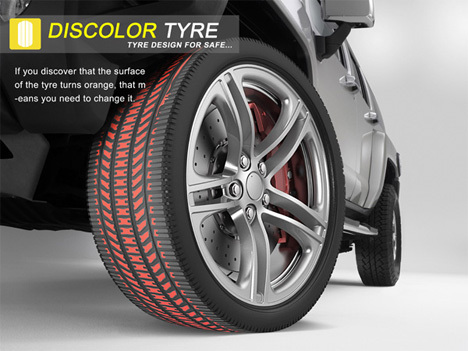 Once the orange is visible, the tires need to be replaced immediately. The highly visible system would be much easier than sticking a coin into the treads to measure their depth as many of us do now. It would also be far safer than having a bunch of careless drivers driving around on bald tires and endangering themselves and others. The 2012 iF Design Talents entry is currently just a concept, not an actual product.